Since we moved into our house last year I've tried to make it as homely and cosy as possible, putting up our prints, displaying all the vintage bits and pieces that my parents have given us over the years and generally just adding our stamp to the victorian little end of terrace. 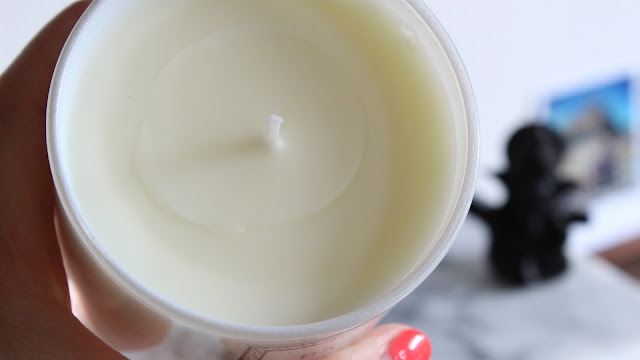 To go alongside all of our clutter home accessories a delicious candle is a must have. There is little more satisfying for me than tidying up, lighting a good quality candle and then settling down on the sofa to relax! For our recent #TheCityGirls event Twig + Dot gifted us some of their mini candles to give to the bloggers. They also kindly sent me a large Baharma Bay candle to try out! 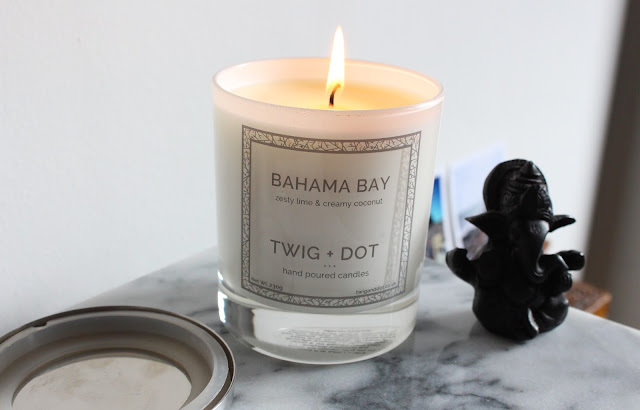 Twig + Dot describe Bahama Bay as an escape to the Caribbean- a zesty fresh punch of lime and undertones of creamy coconut. When sniffing out candles I always go for zesty ones.. always have and probably always will as they remind me of summer, cocktails and sweeties. When the candle arrived I instantly loved the packaging.. really simple yet sophisticated- just how a candle should be. I also like the nice touch of having a proper lid for it.. this means no dusty candles! As soon as I took the metallic lid off I wanted to eat the candle it smelt so good...the scent is SO deliciously mojito like and 100% fits all my wishes when it comes to candles. Twig + Dot candles are hand poured in the UK using soy and mineral wax along with 10% fragrance. Carousel- Marshmallow, vanilla and cream. All i can say is YUM! Cinder + Smoke- Rose, violet, tobacco and smoke- bet this is a really interesting smell. Gypsy Royale- fig, orchid and caramel sugar- ohhh i do love caramel! Deep Calm- Neroli and Chamomile- I love chamomile and bet this would be perfect for a bedroom. So how did the candle do? Our living room is fairly big but within minutes of lighting the candle I could smell its sweet tropical scent throughout. The burn time on this larger candle is 30-40 hours but the burning instructions recommend not to burn for more than 3 hours at a time. Fine by me though as it means I get to enjoy it over a longer period of time rather than burning it all out in one go. This large candle is £16 and their mini versions are £3- they are well worth the price; the scent is noticeable, it lingers nicely and the packaging is beaut.. all in all a really good candle! Check out the range of candles on their website and also follow them on Twitter and Instagram! 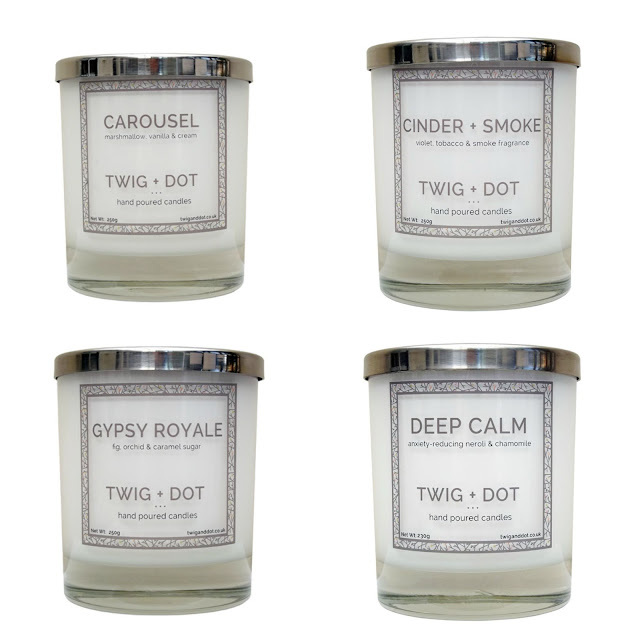 Have you tried out any Twig + Dot candles yet?